The Mediterranean Traveler Map Pack extends the Assassin’s Creed® Revelations Multiplayer experience with the addition of 6 multiplayer maps, each introducing new gameplay opportunities through their varied terrains, perches and hideouts. Before you start you start racking up your kill count, check out this trailer to get a preview of your new playgrounds. Explore the mysterious pasts of Subject 16 and Lucy Stillman in 2 hours of all-new single player content, using the innovative narration style and puzzle-platforming gameplay pioneered in Assassin’s Creed Revelations’ present-day Desmond sequences. Download The Lost Archive and unlock new features: - New single player features: 3 skins (Ezio Turkish Assassin Armour, Altaïr robe and the Armour of Brutus) + Capacity upgrades (Gun, Crossbow and Bomb capacities) + 1 additional mission: ""Vlad the Impaler Prison"" - New multiplayer features: 3 characters (The Crusader, Ottoman Jester and Ottoman Doctor)"
Download the Assassin’s Creed Revelations “Maps Pack - Trial Version” for free and play 6 multiplayer maps, including 3 new locations (Jerusalem, Imperial and Dyers) and 3 maps from Assassin's Creed Brotherhood (Siena, Firenze and San Donato), for 2 days. The Mediterranean Traveler Map Pack extends the Assassin’s Creed® Revelations Multiplayer experience with the addition of 6 multiplayer maps, each introducing new gameplay opportunities through their varied terrains, perches and hideouts. This all new downloadable content also comes with a new collection of Achievements for those that want to try their hand at kills and escapes that are as impressive as they are effective. Journey to the majestic holy city of Jerusalem, the opulent Imperial District of Constantinople, and the colorful mercantile district of Dyers. Revisit your favorite Italian Renaissance maps from Assassin’s Creed® Brotherhood, starting with the historic city of Firenze, traveling to the mountain sides of San Donato, and to night time Siena with its carnival lights, talented performers and deadly hiding spots. Give all your multiplayer characters some personal style with bonus multiplayer customization items, also included in the pack. 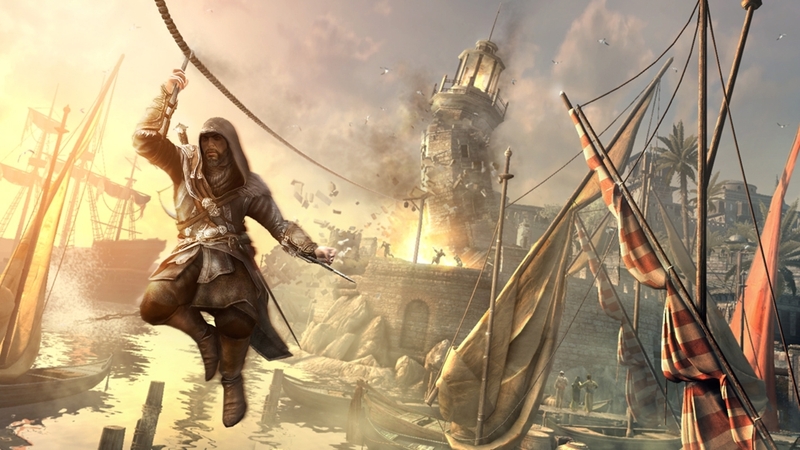 Download the Assassin’s Creed Revelations “Ancestors Multiplayer Character Pack” and get 4 new multiplayer characters, including the swashbuckling Privateer, the deadly siren Corsair, the opportunistic Brigand and the bloodthirsty Gladiator. The Ancestors Multiplayer Character Pack DLC also includes new customization items for your characters. When a man’s battles have been won and his enemies destroyed, what then? Where does he find purpose and meaning? To find answers to these questions, Ezio Auditore will travel east in search of the lost library of the Assassins. In Assassin’s Creed® Revelations, master assassin Ezio Auditore walks in the footsteps of the legendary mentor Altair, on a journey of discovery and revelation. It is a perilous path – one that will take Ezio to Constantinople, the heart of the Ottoman Empire, where a growing army of Templars threatens to destabilize the region. In addition to Ezio’s award-winning story, a refined and expanded online multiplayer experience returns with more modes, more maps and more characters, allowing you to test your assassin skills against others from around the world. 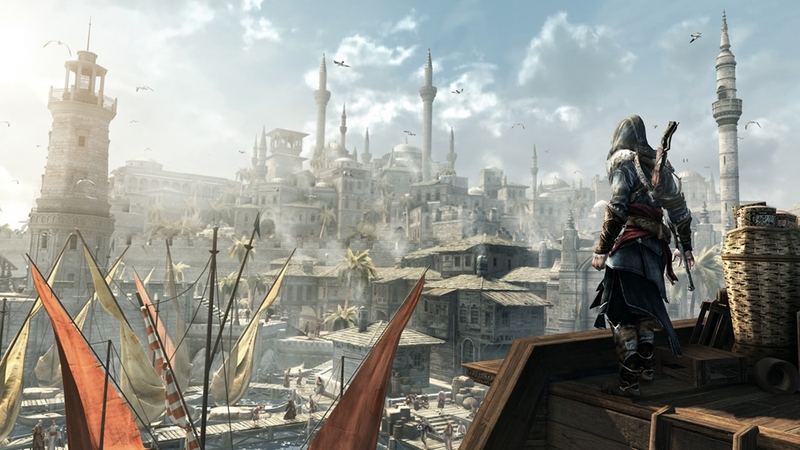 Journey from Constantinople – the vast city once known as the crossroads of the world – to the underground wonder of the ancient city known as Cappodocia, to the birthplace of the Master Assassin Altair in Masyaf all from your Xbox 360 dashboard in the Assassin’s Creed Revelations Premium Theme. 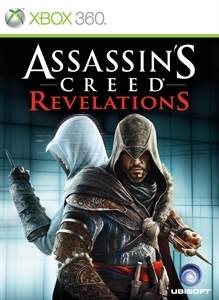 The critically acclaimed Assassin’s Creed multiplayer experience has been refined and expanded for Assassin’s Creed Revelations with new modes, maps, characters and extensive customization options. 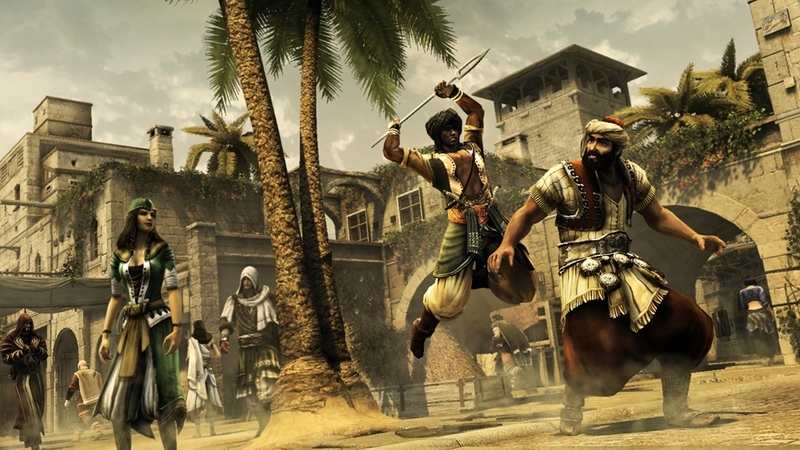 Assassin’s Creed Revelations features a total of 16 multiplayer personas – including unlockables and exclusives – with all new customizable features. As you progress through the multiplayer ranking system, you’ll be able to modify each existing character’s overall appearance. The customization interface is streamlined, enabling you to quickly rotate through designs. Outside of tweaking the visual elements of your character, you're also able to customize three elements that directly and significantly affect gameplay - Abilities, Perks and Streaks. As you progress through the multiplayer experience, you’ll also uncover secrets behind Abstergo Industries found nowhere else, delving deeper into the Assassin’s Creed universe and the methods and motives of the Templar Order. Welcome, Templar, to the Animus Project, a virtual training ground where Abstergo Industries agents perfect the finer points of their craft. Abstergo’s cutting-edge Animus technology simulates a wide variety of historical locations and objectives, allowing you to sharpen your skills amidst diverse environments and formidable adversaries. As you enter the newly refined Animus environment with your fellow Templars, you’ll assume a persona, develop advanced abilities, customize your appearance and build an expansive network of Templar contacts. Through extensive Animus training, you will become the ultimate Templar weapon – a beacon of order and control, in direct opposition to the Assassins and their absurd obsession with so-called “free will.” Good luck, Templar. See you inside. See Ezio and Altair in the Assassin’s Creed: Revelations trailer from GamesCom. Will Ezio’s race to discover Altair’s most closely-guarded secrets come to fruition or be the last folly of an aging master Assassin? What is the connection that Ezio and Altair share? Watch as Ezio’s quest leads him through the bustling sprawl of Constantinople, the underground warren of Cappadocia and the remote fortress in Masyaf in this gameplay trailer. In Assassin’s Creed 2 we witnessed a young Florentine’s birth into the world of the Assassins. In Assassin’s Creed: Brotherhood a legendary master assassin led a brotherhood against power and corruption in Rome. And now, in Ezio’s final chapter, Assassin’s Creed Revelations, Ezio is on a personal quest in search of the secrets left behind by legendary Altair. In this singleplayer walkthrough demonstration, we will present you with a mission that occurs halfway through our game. Instead of finding the answers he seeks, he soon realizes the Templars are also looking for the keys, scattered throughout Constantinople, that unlock the hidden library. Ezio is hot on the trail of a leading Templar who has the last key he needs. 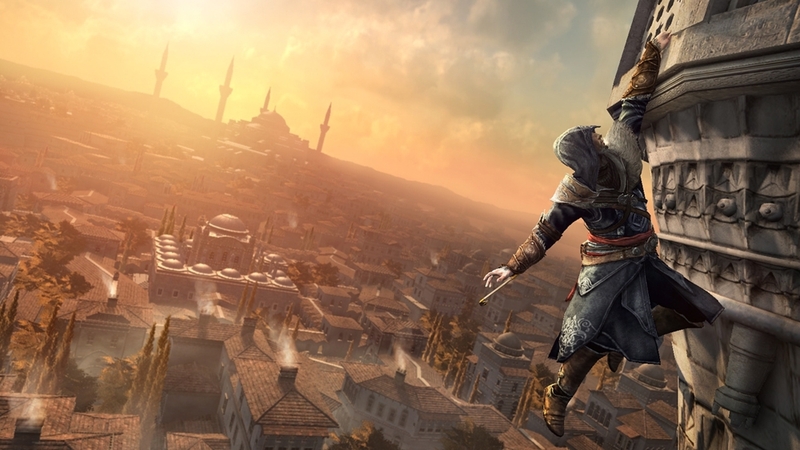 Ezio must leave Constantinople for a Templar stronghold, which won't be an easy task as the Ottoman elite guards - the janissaries - are determined to stop him.